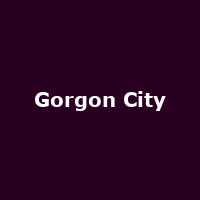 Gorgon City are a North London-based bass-heavy/dub-funk duo comprised of Foamo and RackNRuin. Releases include the singles: "The Crypt", "Real", "Intentions", "Ready for Your Love", "Here for You", "Unmissable" and "Go All Night". They released their debut album, "Sirens" in 2014, followed by 2018's: "Escape".